Having a freezer in your home is something many people take for granted until you go to the icebox and there’s no ice and it isn’t cold. The parts of a freezer are much more complex and when you need freezer repair, our technicians are here with specialized knowledge and tools to get your appliance back to normal in no time at all. Trust us with your kitchen appliances to keep your life on track. Our freezer repair company professionals are on time and courteous. We don’t charge by the hour, but by the job. And before we leave, we always clean up our mess to leave your home just like we found it. We understand that no one likes to have a technician come out to their home unless it’s absolutely necessary. Here are some tips for deciding whether you really need our help. If the freezer won’t turn on, once you’ve checked the plug and the power switch, don’t forget to check the breakers. If you still aren’t getting power, there may be an inside problem for which you do need a professional. If the freezer isn’t cooling, check the temperature controls or whether the door was left open. There are many issues that cause a freezer to lose cooling power, give it a couple of hours to adjust before calling us. Defective door seals can cause a freezer to lose cool air, costing you money in utility bills and food costs. Seals can be replaced quite quickly by one of our trained professionals. When you see frost in or around the pipes, you should call our team because overcooling is a problem within the condenser that needs professional adjustment. When your freezer becomes louder when it’s running, it’s generally a sign of condenser or engine problems. Let us quickly diagnose the issue and get your freezer back in operating condition. 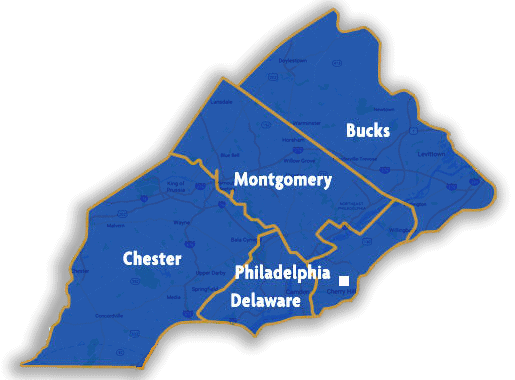 Whenever you’re thinking, “I need freezer repair near me,” give our office a call at 215-628-2800 or schedule your appointment with our easy online form. 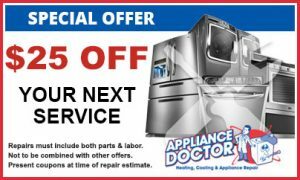 We come to your home and give you an appliance repair quote based on the job. You’ll know exactly what we’re going to do and how much it will cost before we ever start work. It’s our way of offering confidence in our services. 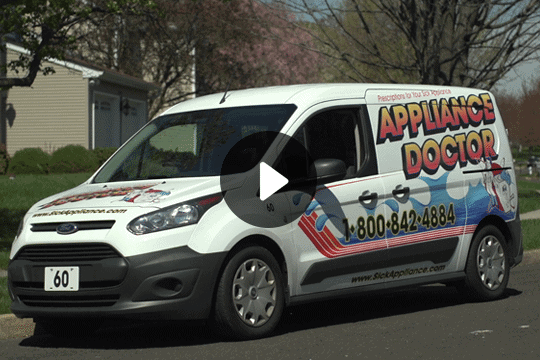 Call us today at 215-628-2800 for reliable and fast appliance repair service. If you have any questions or comments, feel free to contact us through our web form.